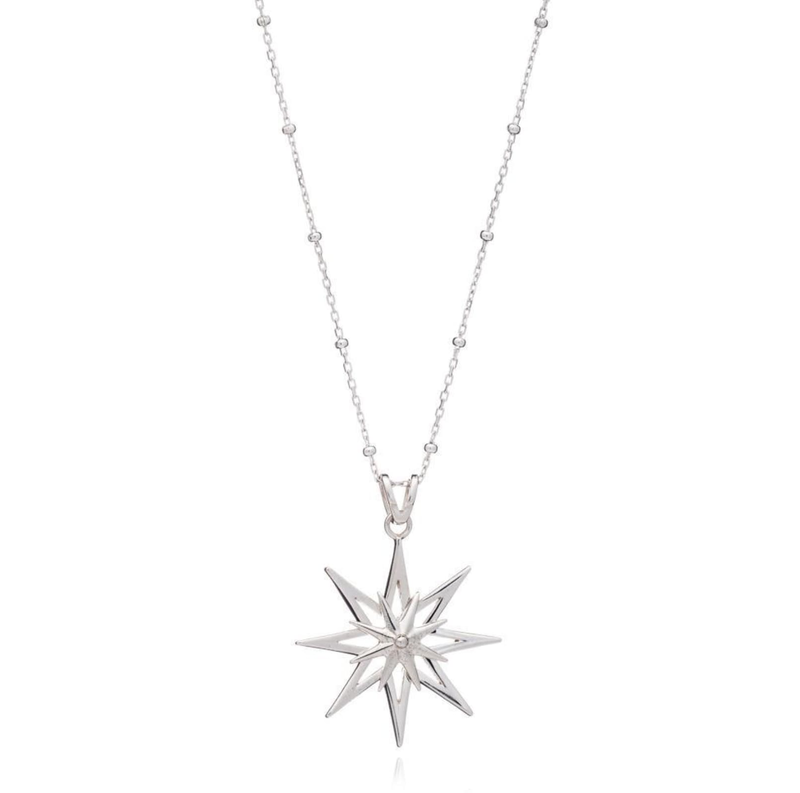 Channel your inner rock star in this solid sterling silver star pendant necklace from Rachel Jackson. Art Deco inspired star pendant. Unique ball detailing on the chain. Star pendant: 27x25mm. Ball chain: 61cm. The Wearer in London, United Kingdom. The boutique is currently on holiday until Apr 22, 2019.